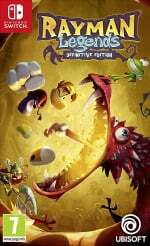 Rayman Legends: Definitive Edition is an absolutely excellent 2D platformer that you really should check out regardless of the multiplayer options. As it happens though, it has full couch co-op support, allowing you to play through the entire experience with a friend. And what an experience it is. You'll run, jump, and punch your way through a variety of imaginative levels that draw on influences from Mario, to Sonic, and even Guitar Hero. 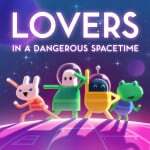 Publisher: Asteroid Base Inc. / Developer: Asteroid Base Inc.
Lovers in a Dangerous Spacetime turns the silliness right up to 11, and provides near perfect co-op action fun for you and your friends. It's got support for four players, and each of you have to work together to keep a pink Death Star running as it battles nasties in space. You'll run between various different control rooms, manning turrets, lasers, shields, and thrusters to both keep your ship functioning and to rack up a high score. Death is inevitable, but you can delay it for as long as possible – provided you work together. Mario Tennis Aces offers up to four player couch co-op via its doubles mode. 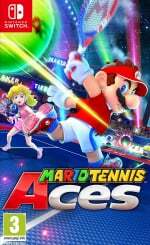 If you're a really big fan of tennis, this is the best option right now on Switch. Also, while this is primarily a couch co-op list, it's well worth mentioning that online co-op challenges have just been introduced to the game, rewarding you with special outfits, characters, and alternate color schemes. 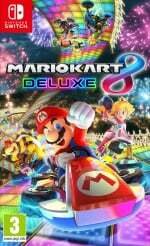 Mario Kart 8 Deluxe actually has a co-op mode in the form of Battle Mode. This is a collection of a variety of different minigames like Balloon Battle, in which each player has three balloons and the objective of the mode is to be the last team standing by bursting other player's balloons. There's also Shine Thief, which is basically capture the flag, Bob-omb Blast, which involves throwing bombs at other players, Coin Runners, in which your team has to collect the most coins in a set period, and Renegade Roundup, which is basically cops and robbers. 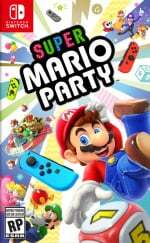 Super Mario Party is probably Nintendo's biggest surprise this year. Very few people expected it to be this good, given its recent history, but the latest entry in the multiplayer party franchise turned out to be a hit. The latest entry also offers the best co-op multiplayer yet, thanks to River Survival Mode. This sees you and up to three friends rowing down a treacherous river before a timer ticks down. You'll avoid obstacles and try and collect balloons that initiate a minigame. Beat the minigame and you'll add more time to the clock. It's an absolute ton of fun that's well worth checking out. 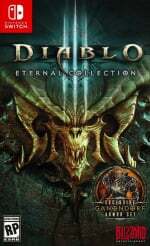 Diablo III is one of those games which is best played with friends. While you can play online, couch co-op offers a much richer experience as you battle demons and collect loot together. Three local players can drop-in and join you on your quest. 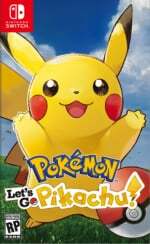 If you are struggling to make your way through Pokémon: Let's Go, Pikachu! and Let's Go, Eevee! then you will want to get a buddy involved and take advantage of the co-op play. The game allows a second trainer to drop-in whenever you want, the second player essentially acts as a support character which makes the game way easier. If you are struggling to catch those pesky Pokémon and fight other trainers, then playing in co-op mode will be a great option for you. 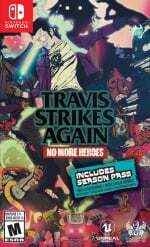 A brand new entry in our list for 2019 is the excellent Travis Strikes Again. The game boasts drop in, drop out single-screen co-op with a single Joy-Con, too, and the simple controls and mechanics lend themselves well to teaming up with less-experienced players. If it wasn't for a certain excellent Switch co-op exclusive, Overcooked 2 would have comfortably taken the top spot on this list. This is a time management simulator, in which you and up to three friends must work together to prepare a variety of orders before your grumpy customers storm out of the restaurant impatiently. Meanwhile, your restaurant is actively fighting against you. You might have to contend with gusts of wind while preparing food on top of a hot air balloon, or have to navigate a spinning kitchen. It's frantic stuff, and the craziness only ramps up the more players you play with. No matter how you play it though, you'll have a crazy amount of fun cooking up the various dishes. 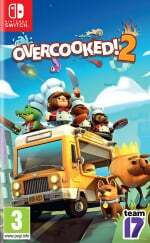 Overcooked 2 pretty much builds on its predecessor to completely refine the experience, providing more polish, new mechanics (throwing stuff at each other! ), and souped-up visuals. 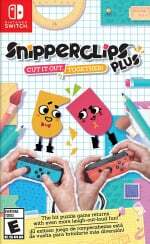 Not only is Snipperclips a Nintendo Switch exclusive, but it remains the finest couch co-op experience on the platform well over a year after initially launching. It challenges you to navigate around a variety of creative levels, cutting your paper characters into different shapes to help you sole puzzles. There's a massive single player story to work through, which supports two player co-op, then a bunch more puzzles you can figure out with up to four players. If you can only pick one game off this list, make sure it's this one. What's your favourite local co-op game on this list? Did it even make the cut? Let us know in the comments below.